As a Dad or Mom of 5 Fitness and nutrition can be hard to fit in unless you have a simple solution. 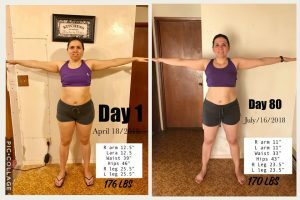 This is why I knew that we could help my friend Desire achieve her goals even with 5 little ones. Gabby and I also have 5 children and have found that doing these workouts at home actually provides a great opportunity to teach our kids healthy principles in the home through our example. Make sure to watch the video at the bottom of this post to see how my 3 year old gets involved in my workout from this morning. 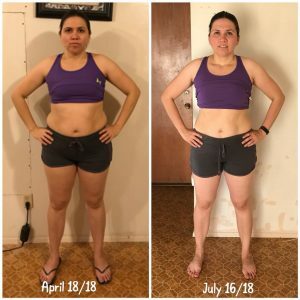 Desire is a hard working, LDS mom who is finding time to transform her life and also help others to do the same. As mom of 5 kids it is so easy to forget about yourself, to get busy with the house and all the to-do lists of things I must do before the day ends. With kids taking care of me is a choice that I have to make every day. Even if I am not being a perfect mom, just to keep up takes a lot strength. By the end of the day, I am done, my brain is done and I am ready to clock out. 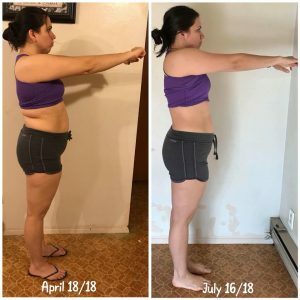 When I decided to do this 80 Day Program, I didn’t think I could do it. I was wondering where my strength would will come from. My health has not been the best and I wasn’t finding the help I needed. I went back to the path of fitness and nutrition. And being honest I didn’t like what I saw in the mirror. In fact I avoided the mirror at all cost. It was not easy to keep up with the normal day, now adding workouts. 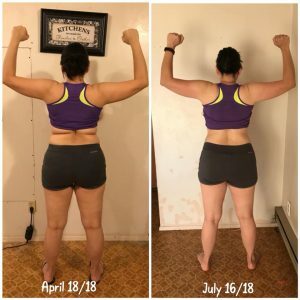 Mom of 5 Fitness results! Using the Pre-workout and my super dense nutrition Super Food shakes made the biggest difference in me doing my exercises. There were days that I didn’t even want to move my body. I was tired but I knew if I drank my pre-workout, I will be good. It was a big key to making it to the end of this 80 Day Program. I fell short a lot especially with my nutrition plan. 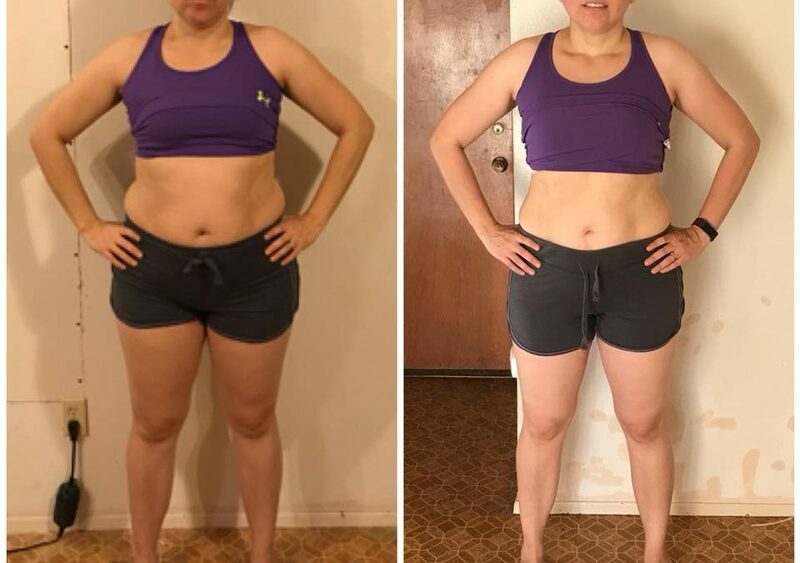 I wish I did better in my nutrition, of course, but I am so happy how much I improved in my diet from day one to day eighty. It was hard, I failed a lot, but I tried to remember that every failure was a chance to do better the next time. It kept reminding me that I was doing way better than I was before I starting the 80 Day program. The accomplishments that I got doing 80 days of workouts cannot be completely expressed with words. I feel stronger and I feel ready for the next step because I am not done with my journey. My take in all of this is you will never do everything right, but you don’t have to. You just need to keep going.